A Member of Parliament has praised a Bathgate based courier for its substantial investment into the local area and commitment to the local workforce. During a visit to officially open Eagle Couriers’ new custom built headquarters, Hannah Bardell, who is the Member of Parliament for Livingston and has been recently named the SNP’s Business, Innovation and Skills spokesperson, welcomed the substantial boost to the local area. As Scotland’s largest independent courier, Eagle Couriers was originally based between two offices in Edinburgh and Glasgow, before opting to bring together operations in Bathgate, keeping satellite depots in Edinburgh, Glasgow and Aberdeen. The new depot will support 20 local people into work as well as providing a base for 100 drivers and is large enough to cater for the firm’s ambitious expansion plans. 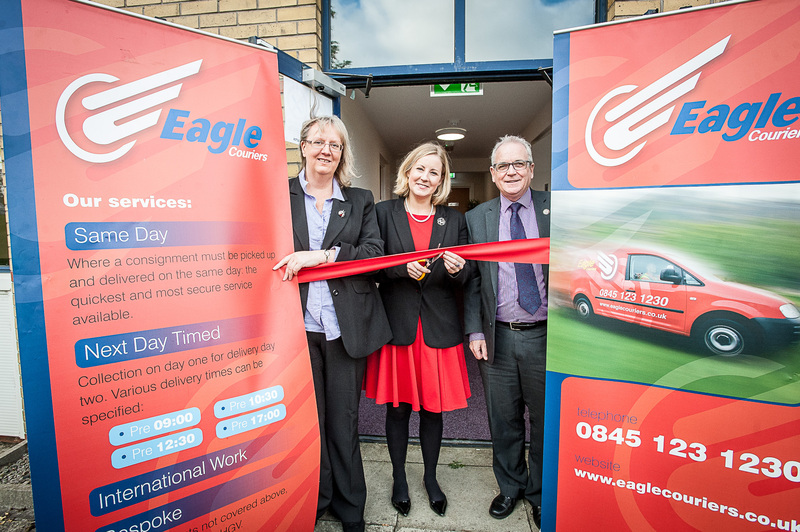 Hannah Bardell MP, said: “Eagle Couriers is a shining light for businesses both locally and nationally and I am delighted to be able to open its fantastic new HQ. “Eagle Couriers invests in its local team, providing genuine opportunities for staff to progress within the company, gaining recognised qualifications along with continuous on the job learning and development. “Having seen Eagle’s former hub, it is clear that they had outgrown the premises. This new purpose-built building will provide a superb working environment for staff and the room for the firm to grow further still. The new headquarters, a two storey building at 2B Inchmuir Road in Bathgate, were purpose built for Eagle Couriers, with local contractors including BM Joiners and Builders from Airdrie, with designs from the architect Bill Harley from Callander. 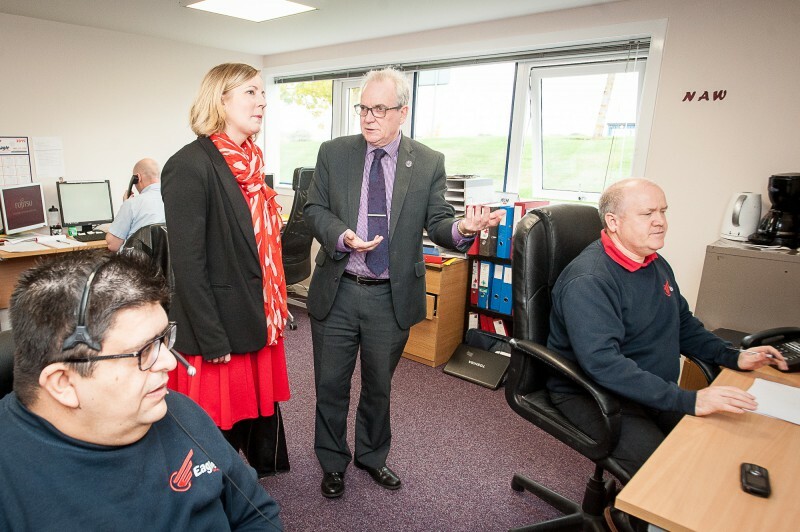 Jerry Stewart, Co-Director of Eagle Couriers, said: “It is clear that Hannah is very dedicated to the area and I am delighted she took the time out of her busy schedule to open the new Eagle’s nest. “This is our first purpose-built hub in West Lothian, since our move seven years ago – having been attracted originally by the great connectivity of the region we can now put down much of our success to the talents of our local team and the great business environment that the region provides. Find out how our Edinburgh Business PR agency can deliver you results.